On Friday, Senator Jeff Flake of Arizona voted to advance Brett Kavanaugh’s nomination out of committee to the Senate floor for a vote. As the key swing vote on the Senate Judiciary Committee, Senator Flake held the power to put an end to this disgraceful nomination – and he chose not to. With a single vote, Senator Flake told the world that he doesn’t care about survivors of sexual assault and that the painful experiences of Dr. Christine Blasey Ford, Deborah Ramirez, and Julie Swetnick don’t matter. 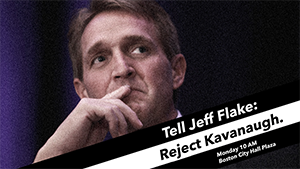 Tomorrow, Senator Flake comes to Boston to speak on a panel on the future of his party. And tomorrow, we honor the strength of Dr. Ford and all survivors when we gather outside the Senator’s event and make this demand: reject Kavanaugh. Speakers will include Mayor Marty Walsh, Councilor Ayanna Pressley, and other leaders, survivors, and storytellers. Please no large bags or signs on sticks. 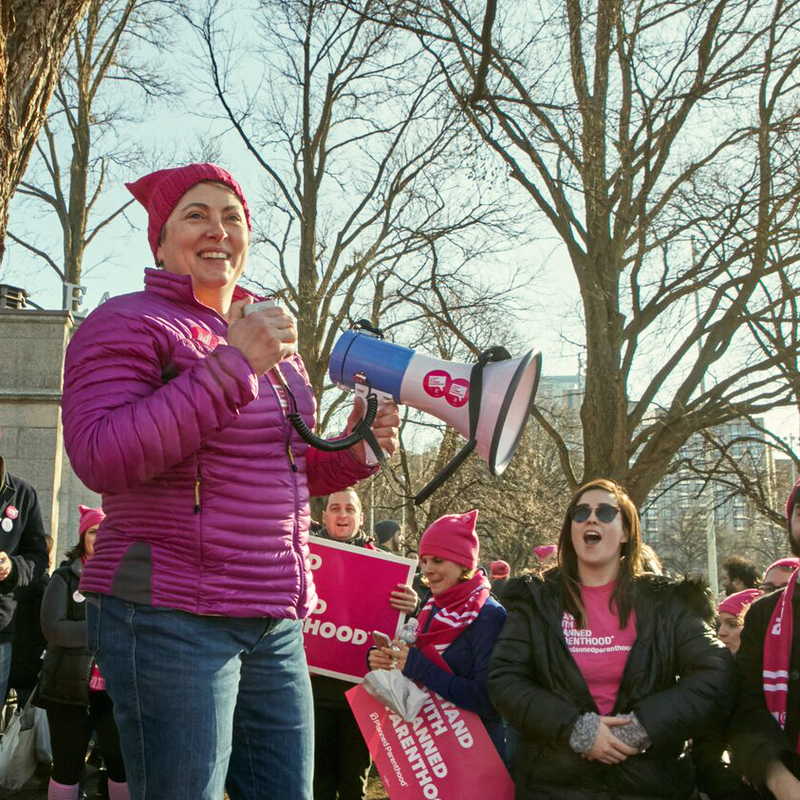 Survivors, women, and people around the country have been pleading with senators to stop Brett Kavanaugh’s nomination. The evidence makes clear that if senators and the White House continue to push his nomination forward, they will, undoubtedly, compromise the integrity of our nation’s highest court. As I watched Dr. Ford hold back tears as she recounted what happened to her at that party in 1982, I was reminded of how critical it is that our Supreme Court works for everyone. That’s why tomorrow, I am fighting back. Senator Flake, you may have ignored Dr. Ford, but her story and the stories of millions will not go away.